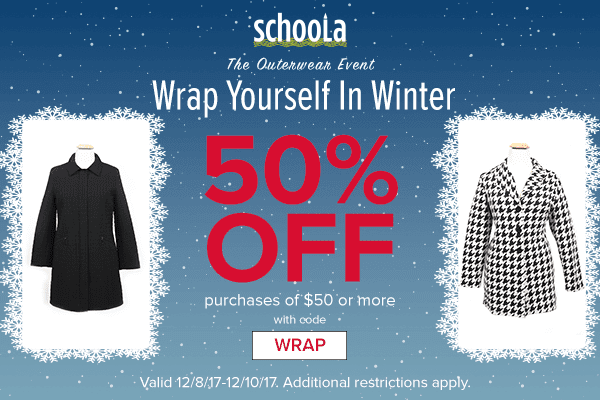 When you shop Schoola.com you are actually donating money to schools while getting amazing prices on name brand gently used clothing for the kiddos and even yourself! Today only when shopping, you can snag 50% off your entire order of $50 or more!simply use promo code WRAP at checkout. As always, you can also grab free shipping on orders $25 or more on the first 10 items. Fine Print: Limit one promotion code may be used per order. Not valid on previous purchases. Discounts and credits do not apply toward shipping or promotional minimums. Discounts are applied to the post-credit order value. New-with-tags items are not eligible for purchase with discounts or credits. Huge Savings Found at Gymboree.com!